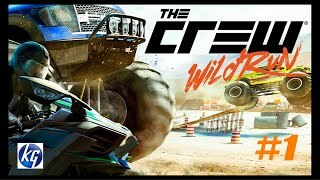 At flipkart.com you can purchase The Crew: Wild Run Edition(for PS4) for only Rs. 944, which is 74% less than the cost in Ebay (Rs. 3,699). The lowest price of BRAND NEW SEALED THE CREW WILD RUN EDITION PS4 GAME ( GAME + EXPANSION) was obtained on April 18, 2019 9:39 pm. Not blaming the seller, but sorry only buy this game for PS4 if you have a good internet connection with unlimited bandwidth.Game wont start until you download a update of 6.84 GB … CRAP !! !Returned the game back, as its useless for me who just have a 2Mbps BSNL connection with limited bandwidth. 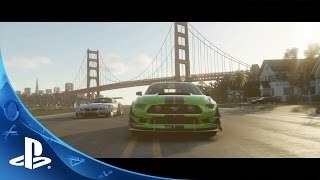 When I initially bought the crew I didn’t like the game much but When the wild run expansion released I played the demo and suddenly could feel the game had become so much better.So i went ahead and bought the game from AMAZONPROS :-1)More than 50 cars handling have been tuned including Lamborgini,bmw,Aston Martin, and they drive much better now.2)BIKES have been introduced in the wild run edition which brings its own races and gives a diff feel to the game.3)GRAPHICS OVERHAUL has been done to make it look like a next gen game and the game looks beautiful now.4)NEW SUMMIT MODE has been introduced in wild edition which is a lot of fun5)DRIVING AROUND USA visiting monumental locations has been one of my best gaming moments and you will feel the same.CONS :-1) Graphics Overhaul, Better Handling,Better AI,THE SUMMIT all comes at a price. You need to download additional 8GB data after installing from CD’S.2)ALWAYS ONLINE. 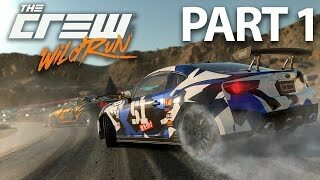 If you don’t have monthly broadband plan you should avoid this game.The Crew Wild Run Edition improves upon The base game in every way and now after fully completing the gameI WOULD EASILY RECOMMEND THE WILD RUN EDITION TO ALL.Hopefully Y’all found my review helpful if so thumbs up so other gamers can see the review and decide. The game is good but i didnt find any downloadable content after using the given code. Very disappointing.